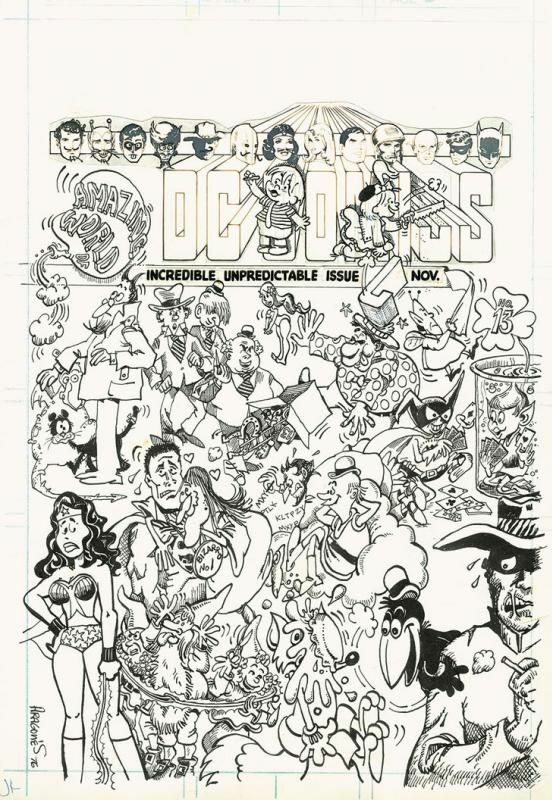 The cover to issue 13 shown above was drawn by Mad and Groo artist Sergio Aragones. Don't miss Sugar and Spike at the top of the artwork and The Fox and the Crow at the bottom. This page of artwork just became available at Galerie Laqua and you can purchase it over here if you like! Stan Lee once referred to Baxter as Baxter Text paper stock. After a bit of digging I found out it was made by Great Northern Paper. They went bust 2 months ago. So that's that. Now I wish whatever company makes the slick and glossy paper that most current comics are printed on would go bust so comics could be printed again on a moderately toothy stock like Mando!